So, ‘Pop Fantasy’ is one of the newest tropes in fantasy fiction these days. Pop Fantasy is fiction that not only references, but relies on the reader’s knowledge of pop culture and integrates pop/geek culture into the story. With my own reading I’ve seen it with the Geekomancy series and with Ernest Cline’s best-selling Ready Player One. In Armada, Cline picks up with the idea of video games as training for something bigger. Zack Lightman is good at video games. Really good. And he’s used video games as a means to escape the fact that he’s still struggling with the death of his father – a father he never knew because he died when Zack was an infant. But all of Zack’s life has been to emulate the father he never knew – from watching his father’s favorite videos to playing games, to listening to music. While Zack excels at video games, much like his father did, he can’t stop thinking about a note he found in his father’s notebook in which his father wonders if video games are nothing more than the government trying to train kids to fight a war against an extra-terrestrial enemy. And of course, that’s precisely what is happening. Zach, and a handful of other top video game players are invited to join the elite Earth Defense Alliance. The catch is that an armada from the moon Europa (where intelligent life has been known to exist for many years, but kept under wraps) is on its way, right now, and the mostly teen defense team members have to go into battle right away. Fortunately they aren’t really in close quarters combat…they are controlling ships remotely and everything about their ships, and (stranger yet) everything about the way the Europans behave, is precisely like that found in the video games these kids excelled at. Until the Europans change things up just a little bit. While there is a lot of fun in this book, the unfortunate things is that this isn’t a particularly original story. The Last Starfighter, or Ender’s Game, come to mind easily. And the odd thing is – author Cline knows it and highlights it, having his characters even remark on it. Yes, part of the fun here is all the rest of the pop culture references that Cline throws at the reader, but it loses a bit of the impact in the fact that the story is one we already seem to know. At least Ready Player One took us to places that were unique in a fiction/story-telling world. It was a fun trip, but it won’t be particularly memorable and we’ll all hope that Cline can come up with something with a little more pizzazz for his next book. Even the budding romance fizzles out and we’re left with a brief tag at the end of the book to suggest that the romance isn’t really gone. While I do get a LOT of books to review direct from the publishers, I read enough that sometimes I want to read something that isn’t available to me for review (such was the case with this). And for this, I love my library. I was able to download the audio version of Armada to my phone and listen to this book during a few long drives and a few long walks. I think that Wil Wheaton’s reading of this book is phenomenal. Wheaton is one of those few performers who really understands the geek life and not only understands pop culture, but is a part of it. With that knowledge, he is able to give the book a needed lift and he brings some terrific energy to the story. I can’t imagine this book in any other way. Looking for a good book? 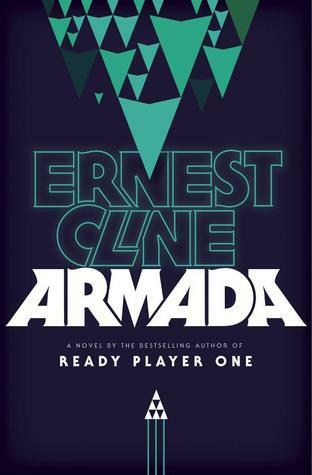 I highly recommend the Wil Wheaton audio version of Armada, by Ernest Cline, as Wheaton captures all the right energy of a story that is otherwise a rehash of very familiar plots.